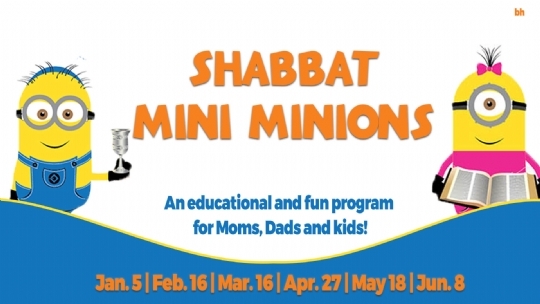 Mini Minion* is this Shabbat, March. 16th @ 11:00 - 11:30! This month at mini-minion, we'll learn all about what is in a Shul - did you know, each of the pieces of "furniture" in the Shul has a special name and a special job? Come find out more with our interactive Mini Minion for the whole family! 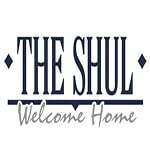 Text The Shul to let us know your family will be joining us! Each month, Mini Minions will explore a different topic; everyone will learn something new...babies, preschoolers, early elementary kids...and parents, too!! All participants are invited to join Kiddush lunch following Mini Minion. * The name of the program is a play on the word "minyan," a quorum of 10 men gathered to recite prayers as a group. Our mini-minyan doesn't require 10, just eager families ready for learning and fun. See you at "Mini Minion!"